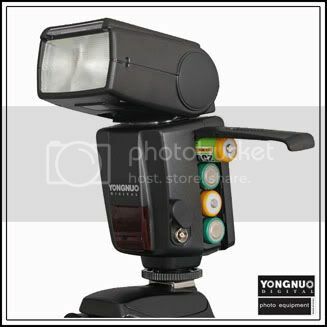 Yongnuo YN468II e-TTL Speedlite is the successor to the YN-468 speedlite flash. YN468-Ⅱprovides PC port，you can make the flash synchronously by connecting to the PC port. More solid and nice looking of the improved battery compartment, as well as better sensitivity and feeling control with new buttons. This is not a new but improved feature where there is improvement of the range and sensitivity for the salve sensor. It utilises laser beam instead of LED light as AF assist light. 1) The flash speedlite will move forward and backward with the changes of lens focus to suit different illumination zones when it is mounted on the camera which supports E-TTL Function, the zoom range is 24mm - 85mm. 2) You also can set the focus position for the light head manually by pressing the mode switch button + Power button. 6 months DSLRplaza standard warranty.